If you are wondering about how to calibrate lenses, this article has detailed explanations and different methods of AF fine tuning. Due to the nature of the phase detect autofocus system that is present on all SLR cameras, both cameras and lenses must be properly calibrated by manufacturers in order to yield sharp images. Various factors such as manufacturer defects, sample variation, insufficient quality assurance testing/tuning and improper shipping and handling can all negatively impact autofocus precision. A lot of photographers get frustrated after spending thousands of dollars on camera equipment and not being able to get anything in focus. After receiving a number of emails from our readers requesting help on how to calibrate lenses, I decided to write this tutorial on ways to properly fine tune focus on cameras and lenses. Lens calibration is a complex topic for many, so my goal is to make this guide as simple as possible, so that you could manage the process by yourself, while fully understanding the entire process. In addition, I strongly recommend to follow these tips every time you purchase a camera or a lens in order to identify and address any potential focusing issues. But I have to warn you – this article is NOT for beginners. If you just got your first DSLR, you might get very quickly frustrated with the calibration process. 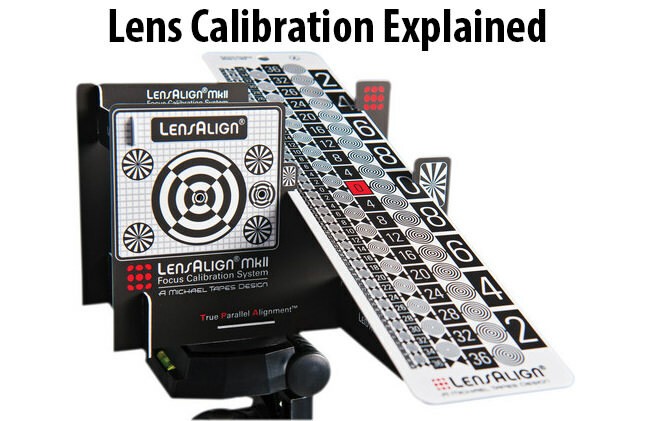 Why is there a need to calibrate lenses? With the release of new, high-resolution cameras like Nikon D800, it seems like calibration is becoming an important and hot topic. Why is that? As I have explained in a number of my photography articles and reviews, while the increase of megapixels in our cameras has a number of benefits (see benefits of high resolution cameras), it can also expose potential focus problems. A slight focus issue might not be as noticeable on a 10-12 MP sensor, but will be much more noticeable on a 25+ MP sensor (assuming both sensors are of the same size). Especially when viewed at 100%, which is what we, photographers unfortunately like to do too much. Hence, the need for a properly calibrated camera setup today is bigger than ever. While landscape and architectural photographers might not care about focus issues (since they photograph at very small apertures that hide small focus issues), portrait, event and wildlife photographers are typically much more worried about focusing problems. I personally like to photograph people wide open with my lenses, which can be a challenge for obtaining perfect focus on my subjects. How frustrated would you be, if you focus on someone’s eye and you get their nose or ears in focus instead? I am sure you would not want to have such problems, which is why I encourage you to test your gear and fine tune it for optimal results. The process of calibration involves going through a specific camera setting that allows fine tuning autofocus operation of lenses, which means that we will NOT be changing anything on the actual lens. Physical calibration of lenses should only be performed by manufacturers, since lenses have to be disassembled, tuned and reassembled. I would never recommend to try doing this yourself at home, unless you really know what you are doing and you are OK with voiding the warranty and potentially damaging your lens. As I pointed out in the phase detection autofocus system and how to test your DSLR for autofocus issues articles, the source of autofocus problems could be an improperly calibrated camera, a lens or both. The procedure highlighted below can potentially address all three scenarios, depending on how badly misaligned the whole setup is (more on this later). The way calibration works, is the camera has a setting, which allows compensating for either back-focus (when focus is shifted behind the focused area) or front-focus (when focus is shifted in front of the focused area). This compensation can be performed in small incremental steps (typically from 0 to -20 and +20 in steps of 1), which allows for precise fine tuning of the autofocus system. Negative numbers compensate for back focus, while positive numbers compensate for front focus problems. To put it differently, dialing a negative “-” number will move the focused point closer to the camera, while dialing a positive “+” number will move the focused point away from the camera. So what happens when you dial -5, for example? The camera tells the lens something like this: “aim at where you would normally focus, except slightly move the focused point closer to the camera”. In essence, this would be needed when your camera and lens combination constantly back-focuses. An important fact to keep in mind, is that calibration is camera and lens specific, which means that if you have multiple cameras and lenses, you have to fine tune autofocus on each camera, for each lens you own (unless you have a camera that constantly front-focuses or back-focuses by the same amount with all lenses, in which case you might need to compensate only for the camera itself). In addition, you might need to periodically re-calibrate your camera gear (more on this below). So if you are looking for this feature in your camera, keep the above naming conventions in mind. I will not bother listing older/discontinued cameras and cameras by other manufacturers, because the list would be too long. You can find out if your camera has this feature in your camera manual. While I recommend calibrating both prime and zoom lenses, there are a few factors to consider. Most prime lenses, especially above the “standard” range of 50mm have very shallow depth of field at close distances. They are typically my first candidates for calibration, since a slight focus variation can be rather frustrating for me when I work in the field. Zoom lenses, on the other hand, are typically much more challenging, because there is typically a zoom and aperture range to work with. For example, a superzoom lens like Nikon 28-300mm f/3.5-5.6G VR can go from 28mm to 300mm and its aperture changes from f/3.5 on the short end to f/5.6 on the long end. Because calibration can only be done for a certain focal length (on some lenses with a severe case of focus shift, I would recommend to even pick a single aperture to fine tune), which focal length would one pick to fine tune? You would have to either go with a focal length somewhere in the middle of the zoom range, or pick the most commonly used focal length to fine tune. For example, when I fine tune my Nikon 200-400mm f/4G VR lens, I always pick 400mm at f/4 for fine tuning, because that’s the focal length and aperture I use most of the time. Whereas, for a prime lens like Nikon 85mm f/1.8G, I would fine tune at f/1.8, since that’s the aperture I typically use the most on that lens. More on this below. DYI Method – Pros: Free, can work if done right. Cons: Precision/accuracy problems, requires a lot of time to setup correctly, does not work well with high-resolution cameras. LensAlign – Pros: Works with any camera/lens combination, can be very precise. Cons: Costs money, requires time for manual adjustments and fine tuning. Calibration Software – Pros: Automated/semi automated calibration process, high precision, saves time. Cons: Costly and only works well with supported cameras. I recommend to take a number of steps for proper and accurate camera calibration. First, you should identify if there is a focus problem. Second, you should try calibrating your camera/lens. The last step is to verify if your calibrated setup works reliably at different distances. If you are an advanced DSLR user, you will typically know right away when there is a focus problem. However, in many cases it is the end-user fault or an issue with camera technique that yields soft images, so I always recommend to use proper ways to identify focus problems. My recommended approach to identify focus issues is highlighted in my “how to test your DSLR for autofocus issues” article I wrote a while ago. While this approach works quite well, it does not point out if you have front or back focus problems. That’s where a tool like LensAlign can come in handy – you will not only know right away if there is a problem, but you will also determine if the focus problem is related to back-focus or front-focus. You should be in an environment where there is a lot of ambient light, so preferably, do this outdoors in daytime. If that’s not an option, you will have to setup powerful lights to properly expose the LensAlign tool, since a single light bulb in your room will not be sufficient for accurate focus (when doing this indoors, I have four dedicated 100W lamps that I point right at LensAlign). Place your camera at a certain distance, depending on the focal length of the lens. Michael Tapes has a neat “Distance Tool” on his website that you can use to calculate the proper distance. For example, for the Nikon 50mm f/1.4G lens, the recommended distance between LensAlign and the camera is roughly 4 feet. Personally, I do not rely on any distance tools, because I roughly set it up to what my typical focusing distance is when photographing subjects. But if you don’t know where to start, the distance tool can be quite helpful. Set the AF adjustment on your camera to “0” (Setup Menu->AF Fine Tune on Nikon DSLRs) or just turn it off. We will need to start from zero initially and go from there. Focus on the circular pattern on the left side of the ruler with your center focus point looking through the viewfinder and take a series of pictures. In between each exposure, you should rack the focus ring, so that everything looks blurry before you start. That way, you force the AF system to reacquire focus each time. As you can see, there is a rather severe problem with autofocus here – the left side of the LensAlign tool is out of focus and by looking at the right side, you can tell that my setup is backfocusing quite a bit. Instead of showing 0 in focus, it is far off somewhere at 12 in the middle section of the ruler. Next, you have to turn AF Fine Tune / Microadjustment on and set a value to compensate for the focus problem. Since it is a backfocus situation in this example, I know that I have to compensate by dialing a negative number. I always start off with an extreme number at -20 or +20, to see how much I need to come down. So in this case, I set it to -20, which turned out to be too much and my focus moved to the front (front focus). Generally, I decrease the number in increments of 5 first, then do additional fine tuning if necessary. For this lens to land perfectly in focus, I had to dial -12. As you can see, the left side of the LensAlign tool is in perfect focus and the ruler on the right side confirms this – the focus point is right number 0. Once you get consistently good results using a particular AF adjustment setting, take your camera for a real test. Take some pictures outdoors at different distances and see if things look good. If they don’t, then go back and try the same test at a different distance and see what you get. If you find that you have to dial vastly different numbers at different distances and focal lengths, then you might be better off by turning AF Fine Tune off completely. See some of the additional notes on calibration below. I am aware of the fact that there are other tools similar to LensAlign. However, Michael Tapes was the original inventor of this tool, so I consider all other lookalikes as “knockoffs” of LensAlign. None of them have the built-in alignment tool, because Michael patented it. In addition, Michael operates a small business right here in the US and our team at Photography Life is all about supporting him instead of big corporations. You will need a PC or a laptop (preferably, due to potential proximity issues) for the fully automated calibration. PC/Mac requirements, along with supported cameras are highlighted here. Connect your camera to your computer using the supplied USB cable, power it on and install camera drivers first (if necessary). Once drivers are installed and configured, install the FoCal software. Once everything is tested, turn the camera off and disconnect the cable (for now, until the setup is complete). Make sure that the camera is recognized by the software. Test and make sure that everything is operational. Again, you should be in an environment where there is a lot of ambient light, for autofocus to work properly. If that’s not an option, you will have to setup powerful lights to properly expose the focus chart, since a single light bulb in your room will not be sufficient for accurate focus. Print out the PDF test chart that comes with FoCal software. You can print it on a regular letter-size paper. A high quality inkjet printer is recommended. Mount the test chart on a flat surface. A straight indoor wall will do. Mount your camera on a tripod and place it at a certain distance right across from the chart, depending on the focal length of the lens. The developer recommends to aim for between about 25x – 50x the focal length of the lens in millimeters, so if you are calibrating a 50mm lens, you should test at around 1.25m to 2.5m. Make sure that the chart is parallel to your camera and that nothing is titled. The software will automatically guide you on how to properly align/rotate the setup. Connect the USB cable to the camera and your PC/laptop. Start up live view and let the software guide you on how to move/align the test target. The software will analyze each image and tell you which AF adjustment value works best. Similar to the LensAlign process highlighted above, I strongly recommend to take your camera for a real test after the calibration process. Test it at different distances and see if you are getting consistently good results or not. The cool thing about the FoCal Pro edition, is that it allows you to also find out what aperture is the sharpest on your lens and as I have already pointed out above, it can also analyze each focus point of your camera for precision. One big catch with the calibration process, is that it may vary by distance. I have done a number of tests to show examples of this behavior (will be posted in a separate article later). What it means, is that if you compensate your camera for a back-focus problem at a certain distance, if the distance between the camera and the subject changes, the focus might be off again. For example, a 50mm f/1.4 lens at 4 feet might require a -5 adjustment. Moving the lens to 6 feet might require a different adjustment, say -8. And then taking the lens and focusing at infinity might require no adjustment. This happens due to a number of different factors. First of all, phase detect sensors in DSLRs require a lot of light, which is the reason why all lenses focus wide open, no matter what aperture you set the lens to. So a bunch of variables kick in right away – chosen aperture, focus shift, focus distance, etc. On top of that, fine adjustments at very close distances are much more granular than at longer distances. Well, the AF fine tuning system is not that smart to be able to cope with all these variables and therefore calibration values might have to be different at various focal lengths, apertures and camera to subject distances. However, this varies by lenses. On some lenses, the difference is very noticeable, while on other lenses differences are too minor to notice. I found out a couple of interesting things while studying AF calibration on various Nikon DSLRs (for uber geeks only!). When testing cameras with autofocus problems (with perfectly calibrated lenses), dialing a value for “AF Fine Tune” would often work for any distance, whether close or far. So if I had a camera that required -10 for every lens, which means a camera phase detect issue, keeping AF Fine Tune at -10 at all times would typically work great at any aperture, distance and focal length. However, if a camera was perfectly calibrated and a lens had a focusing issue, then AF Fine Tune would not work so well at various distances. The worst problems were when both a camera and a lens had issues – that’s when trying to calibrate the setup could yield strange/inconsistent results. This is my observation, although more in-depth testing would have to be carried out to confirm this. Also, I do not know if other manufacturers have similar implementation of Nikon’s AF Fine Tune and results might vary by brand. Another observation that I have after a number of years working with cameras and lenses, is that camera calibration only works reliably well at small adjustments, when it is not extreme. A while ago, one of our readers asked me “how come we only get -20 to +20 for AF Fine Tune, why doesn’t Nikon allow much bigger values like -50 to +50?”. It was an interesting question that I could not answer at the time, because I did not have a camera/lens combination that required extreme calibration values. While testing various Nikon DSLRs during the last few years, I came across a couple of camera bodies and lenses that had severe back/front focus issues, where something like -20 adjustment had to be dialed during the calibration process. In cases where a camera body was at fault, the impact of an extreme adjustment did not seem to be so bad (although it was still not very reliable), while when a lens was at fault, dialing above -10 or +10 (especially above ±15) yielded very inconsistent results. Hence, my conclusion is that if you find that your camera/lens setup requires high adjustment values (negative or positive), you might not want to mess with the whole thing and send your gear to the manufacturer for proper tuning instead. That’s probably why none of the current DSLR manufacturers allow calibration for higher values than 20. So, what tolerance levels for calibration are acceptable? For me, anything below ±10 for a camera or lens is acceptable. Ideally, I want to stay in the ±5 range, but if fine tuning takes care of the problem, I do not bother sending my gear to manufacturer for tuning. If a new camera I buy requires -5 to -10 with all of my lenses, I will just take care of it with AF Fine Tune. If it is anything above that, I will send it to Nikon for tuning. The same thing goes for lenses. Whether you like it or not, autofocus precision of your cameras and lenses can change overtime. There are many different factors that could influence precision – everything from drastic changes in temperatures, to physical abuse and normal wear and tear. Some people take it very seriously and perform calibration as often as a few times per month. I personally do it a couple of times before and during the wedding season, to make sure that the gear works as expected. The goal of my tests is to make sure that the gear I use operates normally. If I see any drastic changes in autofocus behavior and AF adjustment does not work consistently anymore, I contact Nikon and send my gear in for repair. Yes, this process is rather painful and can get costly, but it is worth it, because our clients get the very best quality work from us. As you can see from this article, calibration is a complex topic. Unfortunately, a number of photographers and online resources blindly recommend taking different approaches to lens calibration without fully understanding how autofocus system works, which leads to more frustration and unhappiness from end users. In my opinion, it is important to know and understand all the details of the process, including possible outcomes before deciding to touch this feature. Despite all challenges, I still highly recommend to play with the AF adjustment feature on your camera and learn how to properly calibrate your camera gear. At the end of the day, you want to get the best out of your equipment. I apologize if the article is too long. Good luck and please let me know if you have any questions in the comments section below. Very nice write up on a complicated subject, Nasim. Thank you! While FoCal is certainly a more costly option (but not a whole lot and I happened to purchase it at a discount months ago at significant savings) the ease of use and benefits are well worth it, when compared to lens align. Both do the job very well, but, as you noted, the aperture sharpness and some of the other tests available with FoCal are great tools. Once they can automate the Nikon process, it becomes a no-brainer to me. Robert, thank you! I agree – FoCal is a great solution. Looks like they are in the process of making Nikon DSLRs compatible. 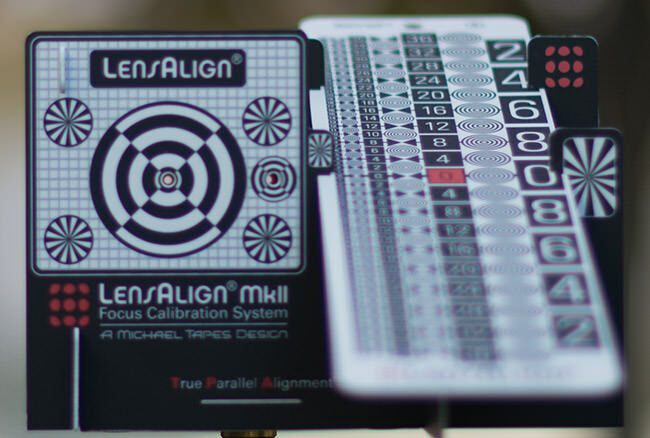 Let’s hope the solution comes out sooner than later, because it is a neat tool that saves plenty of time and makes the process of lens calibration easy. > Looks like they are in the process of making Nikon DSLRs compatible. I thought that FoCal is already compatible with Nikon DSLRs. Can you please clarify? I would also like to know what do you mean by that Nasim (and Robert). Focals website states that most of Nikon higher end DSLR are compatible, but then again “compatible” does not mean that process is automated or am I wrong here ? Nikon dslr’s are “compatible” and do work with FoCal. I’ve used it with both my D7000 and D800E ,and , presumably, from Nasim’s statements he’s used it witb his various bodies. What it isn’t is able to have the AF fine tune calibration entirely automated as it is with Canon bodies. The software, when running the fine tune testing, can not adjust the setting in the camera on Nikon bodies. The user will need to make the various adjustments. The program will trigger the shutter release then askbthe user to input a new value on the camera. Really, it isn’t that bad, but to have the software run the whole thing entirely would be nice. Nasim, you refer to Nikon support for fully automated adjustment becoming available in a further release (for cameras other than the D3s which already has this). Reikan say this is because the SDK does not allow them in (and this also applies to the Canon 5D Mk3 from memory). Are you speculating this will improve or do you have information from Reikan that Nikon will open up their SDK? Murray, I believe folks at Reikan made some significant progress with the Nikon DSLRs. I believe they used a programming language like assembly to engage with Nikon cameras directly, without SDK. I believe they were planning to release automated support later this year/next year. Ah, that’s good news. The fully automated process is certainly much easier. After my initial testing with Focal I suggested a method whereby they could test for focus shift. Rich said it would be easy to implement and that they would do so soon. Can you calibrate lenses other than Nikon? Can you calibrate multiple lenses and save multiple lens calibration settings on the Nikon D810, or do you have to recalibrate each lens every time you mount another lens? Would two 500 watt Home Depot work lights on a stand be adequate to accurately calibrate lens inside your home if you do not have enough ambient light? Will this be bright enough for FoCal Pro, Nikon D810? Can you fine tune focus on old AIS lenses? My AIS lenses 28mm 2.8 and 35mm to 105mm macro give me soft focus on both my Nikon F3 and Nikon D810? What is the likely hood that both the cameras and the lenses require adjustment? So, what you’re saying is, I should probably give up on this whole DSLR thing and go mirrorless? Mirrorless never needs adjusting as it reads right from the sensor. Thank you for an informative and useful article Nasim and very topical. I have always had mixed feelings about delving too deeply into AF fine tune on my Nikon’s, but have posted the link elsewhere on an other highly regarded forum as I feel there will be great interest in your work in this field. As for me and yes a 100% regular pixel peeper, I will watch this thread with interest before I jump into the dark art of fine tuning, but with an open mind. Richard, you are most welcome and thank you for the link! Thanks. One issue which effects many of us wildlife geeks is the necessity to use high ISO’s to achieve fast shutter speeds. I have always wondered that if a lens is fine tuned at the base ISO (i.e. ISO100 in my D800) what effect, if any, may a higher ISO value eg. ISO800, have on the newly fine tuned value? Thanks, one less thing to worry about! This is going to be extremely useful for me, thank you. I had the 14-24mm lens for about 3 months now. It has spent more time at the Nikon lab that it did on my D800E. It has a serious issue of backfocusing, around -15 to -20, could not verify perfectly. The nikon rep offered to fix some calibration spec on the lens itself, but I think I’ll insist on a replacement. It seems to me that virtually all 14-24mm lenses I’ve read about in forums have this backfocus problem. Nasim, I know that you have this issue as well, correct? I’ve read at least another 4-5 posts of people saying their lens backfocuses heavily. As an aside, I have noticed that my only 3rd party lens, a Sigma 50-500mm OS is troublesome focus wise on my D800. I wonder if this often applies more to 3rd party lenses than Nikon’s? Richard, in my experience, third party lenses have way more AF issues in comparison. They all have gotten better during the last few years, but they still have plenty of issues overall. I believe Roger at Lensrentals.com published an article on Sigma lenses – they had to stop ordering Sigma telephoto lenses for a while, because sample variation was too high and lenses had constant AF issues. Nasim, I think if you’ll survey all the people you know with this lens, you’ll find that ALL lenses have this problem. When the Nikon rep in Israel sent the info to Nikon HQ, they immediately replied with instructions on how to *try* to fix it, by performing a calibration on the lens circuitry. It seems to be a very widespread problem, much more than the D800 left AF for example. On the other hand, testing my lens with a culimator machine resulted in it having perfect optics, so I wonder if I should demand an exchange or just let them fix it. I sent it for a fix less than a week after receiving it (there’s no “exchange/return” option where I live. I kind of regret not buying this from Amazon US instead, ironically I would have gotten a much better service). Not all 14-24mm lenses have this problem because mine doesn’t. Using Reikan FoCal and focal lengths of 14mm, 18mm and 24mm, it tested at 6 /6 /-9 with my D3s and 3/ 0 / -8 with my D3. Glad to hear some lenses don’t exhibit this problem, because I finally got an approval to have the lens replaced. I hope the new one won’t be just the same. A great article on a difficult subject. Regarding the remarks on the 14-24 Nikkor having severe backfocus problems, can you quantify what an error requiring -16 would have on the lens set at 24mm and focussed at 8 feet for example. How many inches or feet? is my focus out? Hey Nasim, well written. I just upgraded from D90 to D7000 and shoot mostly birds and wildlife (Yes, I want a D400). I have noticed at greater distances (25m +)that my 400f2.8 + 1.4TC front focuses, but closer focus (10 to 15m range) its spot on, and reading your article it seems I am stuck. I am finding that the D7000 is not as forgiving as the D90 and that impeccable technique is vital, so do you think I need to give it some more time or should I speak to Nikon for assistance??? Leon, can you try calibrating the lens at both 25m+ and shorter distances? You can use a really long ruler with LensAlign for super telephotos. Another thing you can do is use something like LensAlign at short distances, then try playing with AF Fine Tune on long distances at infinity to see what happens. Extraordinary well done as always Nasim. Adnan, once you do it a couple of times, it will be easy to calibrate lenses. One thing you don’t mention with FoCal is that you can’t use fluoro or LCD lights because they pulse (though must should find that in the manual). Tungsten are OK and I’ve been using five of them that I recently replaced in the kitchen. Easier for me than daylight. I got an 85mm f1.4 lens repaired by Nikon because autofocus stopped working after I managed to drop it while changing lenses. I had to send it back twice again to get a usable calibration (ie not >20). It still comes in at 19 for the D3s and 17 for the D3. However, it seems to work OK at that, testing in the garden and in actual use and seems and tests as quite consistent so I’m inclined to just accept that. It doesn’t seem to have any focus shift. I also sent my D3s back twice after it needed repair after getting wet. It was very useful in both cases to be able to attach a FoCal report and then be able to make measurements again when the lens and body came back. Focal paid for itself just in that alone. (1) Nikon AF adjustment values are much more sensitive than Canon’s – so that for an equivalent amount of adjustment on lenses with same maximum aperture, the Nikon value is twice or more higher than the Canon. (2) The amount of adjustment is likely to vary according to the maximum aperture of your lens: “I currently believe that AFMA values determined for an f/1.4 lens are twice the values as determined for an f/2.8 lens”. Murray, thank you for pointing that out! That’s an interesting post by Falk Lumo – I will give it a read! Do any UK or Euro folks know where a Lenscal can be sourced in the UK please? I have hunted the web and can’t find one in the UK. I’ve found a Spyder LensCal, but it’s very basic and stupidly expensive! I’m not to keen on trying AF fine tune yet, but may want to in the future. Richard, I will forward your request to Michael Tapes. Thanks once again Nasim for a very instructive and educational article! I have got lots of different Nikon SLR cameras and manually lenses for more than 40 years, and also 3-4 Nikon DSLR’s and different automatic lenses during the last 10 years. I have also got Hasselblad, Canon (G-serial) and Sony NEX (5n and 7) cameras. Doesn’t your describtion, about how sensitive it is to get an accurate function into the automatic focusing process/system in a modern DSLR, speaks more and more for mirrorless cameras? Than should the automatic lenses only need to be calibrated direct to the image sensor. Really hope that Nikon (and of course all the other’s) soon will present full format DSRL cameras with new wide series of more more compact interchangeable lenses. Then should the heavyness of the photo equipment be radical lower than today. Sony is not far away with the RX1. The Times (and the photographic concepts) They Are a-Changing! Some years ago I worked as a constructor/designer on Hasselblad here in Sweden (but that was before the digital era)… As an example – I designed a special measurement camera application to NASA, used in some of the Discovery Space Shuttles. It was the first step to the nowdays world-wide Global Positioning System. I’m also sad to say that my latest Nikon camera, a D600, was actually sent back because the sensor was so dirty that I couldn’t clean it myself (believe me, I’ve cleaned lots of dirty sensors before). It was also over exposured halv a step and not good in the colour balance (little to much blue/green). That was actually more than I expected from a new camera. In the past, I used a different approach that seemed to work well, and is a bit faster.. I would first focus my tripod-mounted camera with Live View, then go back and re-focus using the AF feature while observing to see if there was a shift in the focus ring. I would incrementally adjust the focus correction until there was no shift between live view focus and AF. This occurred to me while doing the routine lens tests I always perform with a new (or used) lens purchase. I noticed with some lenses that I didn’t get sharp results while photographing my lens resolution chart, even though I was careful to turn VR off and use a remote release. When I changed my procedure to using live view instead I got much better results. This is when I became aware that focus error was a serious issue with some lenses! Thank you for this article, well explained. I’ve discovered AF Fine Tune with the D800 (I was coming from a D200 which did not have that feature), and it took me a while to understand how to use it properly. Especially, all methods that rely on comparing a target focused with live view and with the phase detect autofocus are unreliable as they don’t help you to put the target in the middle of the depth of field. It is also very interesting to give an order of magnitude of the precision at which you can setup your AF Fine Tune (Due to different “optimal” AF Fine Tune required for different focusing distance, focal length (on a zoom), aperture (for focus shift), etc…). for your body to be "within specification". These values come from testing different cameras (D800, D3X, even some Canon) and looking at their discrepancy. which is a difference just within the "Falk" specs (8 for the f1.4, and 12 for the 1.8). What is obvious is that my D800 is backfocusing on the left sensor. But if I setup the AF Fine Tune to -7 on the 85mm, I can't tell any difference in between the phase detect focus and the live view focus for all the sensors. It is just that the target moves inside the depth of field when moving from one sensor to another one. Of course, I would be happy if it does not, but at least I can quantify the error. I have tested 3 D800, and they all showed the same behavior. My feeling is that all D800 are "affected" by this problem, with a different amount. Falk shows that even the D3X is affected, and almost any camera. I would be glad if you could test some of your lens with your D800 and D600 and post the results. It would be very interesting. The Nikon full-frame figures are likely to be accurate; other columns are more speculative due to insufficient data. That’s strange. Three or four sub-posts have disappeared from here. If I wanted a LensAlign I can only order it from the US, but the carriage is US$64! I wonder why there isn’t a UK dealer. PS. The Ruler Kit costs £ 94.25. Ouch! I have tried to access the website under camera accessories, but it says “no search found”. Worth a try though. Again, thank you Nasim, I know I am on the right track after reading your article. As a LensAlign user, I have to say that I have almost the same opinions just like you. When I first started using LensAlign, I got confused because sometimes it gives me precised result but sometimes everything seems inconsistent. After calibrated say about 8 or 10 cameras and 30 lenses, I realized that in most scenarios, a good camera should have -4 to +4 for all good lenses, and they generally work perfect at any aperture and distance. however, when it comes to +-10, weird things began to happen on my gears. I observed at least 3 lenses that has 10 for the fine tuning value range, and they are not consistent when focusing on stuff at long distance(shorter than infinity). when it comes to +-17, it was just a nightmare. I had 2 lenses like this, and two of my friends have 2 lenses like this as well. these four lenses just won’t give any consistency. the calibration on those lenses only works at wide open, close distance., one focal range. and yea, those crazy lenses really made me questioning my method, meanwhile those lenses with +-2 or even 5 just worked amazingly great. today I finally got another photographer having the same experience. Thank you Nasim! I heard about Reikan foxal calibration program. Is it accurate software? Would you recommend it? Did you even bother reading the article? The jpeg shows the tool built. It should be self explanatory. If you print it on a letter size paper, can can easily tesr your lens at 30 times the focal length. The black hirizontal stripes are where you should focus, and what you look for is the same decrease of sharpness on the left and the right side. Can you post the file again? I cannot find it but willing to try it. Nasim asked me to address some of your questions. 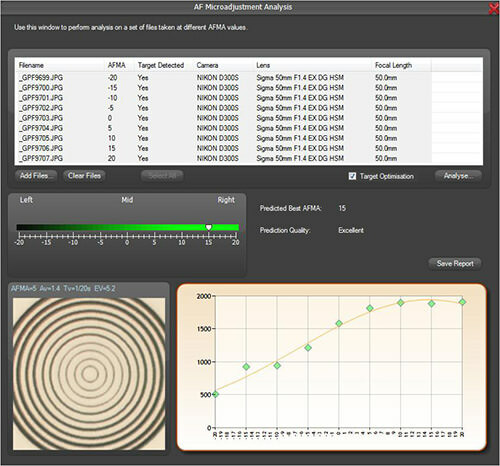 2 – As has been rumored, we are about to release within the next week our FocusTune™ Software Calibration system. It is similar to Focal in terms of what it does and reports. The big difference is that Focal is tethered and requires a connected PC, while FocusTune works on a stand-alone PC with no tethering requirement. So Focal has the advantage of doing some tests automatically or semi-automatically, where with FocusTune you shoot the test shots and then FocusTune looks at them as a batch of data. 3 – We have priced FocusTune such that Focal and FocusTune both offer good value. Focal is about $99USD for the their full package, while FocusTune has an introduction price of $29.95 until the end of the year. For LensAlign MkII owners (current and future) the price is $19.95 (intro pricing). 4 – We have set up a page that allows you to register for our mailing list to get the advanced info as it becomes available within the next days. The release of FocusTune is planned for Monday Oct 22. This is a sneak preview that has appeared no place else. So you heard it first, thanks to Nasim. 5 – Nasim has planned an early preview of FocusTune so watch for it here. 6 – Also happy to answer any LensAlign questions that you might have. Thanks to Nasim and his readers! Thank you Michael and I, as a UK resident, raised the issue regarding availability and delivery charges. I am pleased the postal charges have been clarified and look forward to reading more about focaltune too and have registered my interest. The charges options make a great difference financially. I look forward to taking advantage of either the FocusTune or Lensalign or both. Thanks again. 1 – Unlike any software solution (FocusTune or Focal). 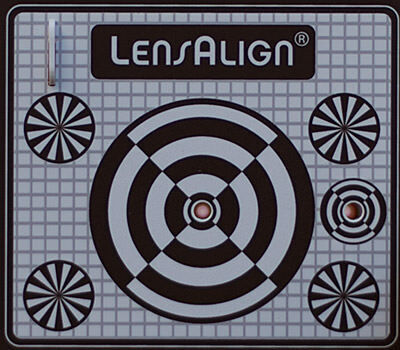 With lensAlign you can 1 shot at 0 Af adjustment setting (or Off), and by observing the ruler on the rear LCD of the camera you can instantly know the status of your body/lens combination. Whether it is iin the ballpark, or front or back focusing. That means that with either software solution, you can then limit your testing to a smaller range of AF Adjustment values. For example if you notice front focusing, you then KNOW that you will not be making a minus (-) adjustment, and can concentrate on the plus (+) adjustments, as Nasim noted when using LensAlign without software. 2 – Let’s say for example you used Focal to set up a body/lens. And now 2 weeks later you have a critical session with narrow DOF. it is impractical to use Focal to test that everything is still OK. Much easier to take a LensAlign shot and instantly know whether you are good or not. Thank you for clarifying that and the methodology is most interesting. Michael. I have just looked at your web site and for LensAlign MkII which is $79.95 the International postage still shows as follows. There is no mention of Priority Mail International = $17.00USD! Am I missing something please? Please try again. It seems to want to have some additional data input until it refreshes the postage rates. I have made some change in the configuration, so hopefully it is now working. If it is not and you wish to order. Just order with the wrong postage selected, and we will correct it before ship. Just send a note over to mtdhelp DOT com with the order #. Very sorry for the problem. I thought it was fixed since I saw orders go through st the proper pricing. Thanks for your feedback. Looking deeper for the LensAlign MkII Plus we uncovered another cayuse for the shipping price problems. (Simple stuff that cause big problems…how the post office looks at LxWxH as opposed to the shopping cart.). All LensAlign models should not show at $16.95 (or very close) for International Priority Mail. Hi Michael. I am now very confused. So, are we saying I pay $86.10 because $6.15 carriage to the UK is $10.8 less than your quote here. In fact, the basket doesn’t quote any international carriage prices. Richard. let’s take this off line at mtapes AT mtapes DOT net. The estimated shipping charges are dependent on a number of the fields in the form being filled out. The $6.15 price is for US shipping. Here is what it should look like for UK shipping if the form is filled out enough. Let continue off-line. Thanks. Sorry for any confusion. Thanks Michael, that clears it all up now. I think I understand why my post never appeared on your site as it is not something Michael Tapes would like to see. I am sorry you did not ever bothered sending me an email explaining your position that I would have understood. I do not know of your post except for what you write here, but in general good bloggers try to keep negative energy off of the web. (I am not speaking for Nasim…just a comment of mine). if you have any issues, problems, questions regarding LensAlign, please feel free to mail directly to me at mtapes AT mtapes DOT net. I definitely would like to hear all feedback, negative and positive. I look forward to hearing from you. Fine Tuning your camera just looking at the sharpness of the target where you have focused seems to me a really bad idea because the curve of sharpness as a function of AF Fine Tune is very flat around the optimal AF Fine Tune. Focal might select the lowest AF Fine Tune where sharpness start to go down and the hightest one, then give the average of both. I don’t know how your software work. That’s why I have always recommended to use a tool such as the one you make, where you really see the depth of field. Concerning my post, it might be an error, but two of them disappeared as “Murray Foote” also noticed above. And I’ve posted one this morning explaining how to make a tool to fine tune your lens. All you needed was a printer, a pair of scissors and some tape. It just never appeared. Thanks for responding. You are correct in that the software essentially establishes the AF Adjustment value that produces the sharpest image (speaking for FocusTune). However, we also produce a graph and chart that is very informative in terms of how the body/lens AF is working. So FocusTune does not provide use THIS Adsjument value, rather we say that THIS Value produces the sharpest image, but only along with the graph (which I will not explain here), can one make the termination of which value to set the camera to. We can call it an informed decision that the photographer has to make. Having said that, in a camera that needs a +10 adjustment (for example), a point to realize is that whether you set it to +8 or +12 or +10, you will be getting more sharp images than if you had not set it. But as the cameras become more and more resolved (in MPs and other factors), the more accurate the setting, the higher the yield of the most sharp pictures will be. it is not that DIY solutions cannot work to determine an accurate AF Adjustment setting. it is that they are unlikely to work reliably and consistently due to the design and construction given DIY components, but also because the user may not have the proper skill to build it properly. The biggest issue about AF Adjustment is that the AF performance is not consistent. ANY variable that is thrown into the equation, just muddles the ability to have valid test date. THAT is the biggest issue with the home brew jigs. They are mostly inaccurate to begin with , but their construction and usage just adds one more BIG variable to an already very variable AF system. Those that noted that the LensALign results varied and were not reliable are missing the point. LensAlign (and Focal and FocusTune) are stable and show off the variability of the body/lens matching and the inconsistency of the AF system itself. THAT is what we are testing for and therefore must be the ONLY variable in the test environment. To provide a stable and reliable test environment for AF testing was my design criteria for LensAlign back when I first started 4 or so years ago. There was no Micro-Adjustment or Fine-tune capability of the AF system when I conceived LensAlign. it was all about stability and reliability. Hope this provides some helpful information. Thanks for your answer. My plan is not to compete with your tool, and I just wanted to share my home brew test experience. As you can see, I is not a LensAlign knock-off as the design is different and it does not take anything from LensAlign. I don’t have a Lens Align target, so I have know idea how different it is from my “homebrew target” in terms of repeatability of the focus. But look at the second Focal screenshot of this page. What you can see is that the recommended value by the software is +15. Looking at the graph, I would recommend the same, but also note that the neighboring tests gives at better sharpness. Most likely, the AF misfocused a bit on this attempt. My feeling is that Focal tries to fit a gaussian curve along those points and takes the maximum of this curve. At least, that the way I would do it. This point is just to show that even Focal can’t ignore the fact that AF systems don’t always focus at the same point. I agree that using a good target sensitive to most focus point and having good light will reduce these problems. It can’t completely remove it as you seem to say. You’ve posted a video on vimeo on how to test the D800 for focusing issues. I have been very surprised that you focus with the extreme sensors and control the focus in the center. It supposes that your focusing ruler is perfectly parallel to the sensor and that your lens has no field curvature. It seems to me that it is a very unreliable way to test the autofocus points and I was very surprised that you did that. I don’t have any critics to your product. It just seems to me that “HomeBrew targets” are good enough for a lot of thing. You mainly need to be careful about the focusing target and the light so that the AF variations in between 2 shots are very small. And I don’t think softwares like Focal bring something useful in the picture. And saying that these softwares prevent human errors is I think misleading. I just went to the admin screen and approved your comment – it should appear now. Thanks for the update. I was a little bit worried about some comments disappearing and not being able to post new comments. I apologize for being vocal about it but I thought that you were losing your independence. Francois, no worries brother! As for independence, never! :) When someone wants to send me anything for review (which I never get to keep, by the way), I always warn them that I freely speak my mind. So if they want me to review anything, they’d better be ready for a potentially negative review. In fact, some people got pretty frustrated with some of my reviews as a result. Check out my Drobo reviews and other reviews like this one. I had people send me angry emails over stuff like this, but I don’t really care! I am sure reviewing gear is a difficult business and may lead you to some uncomfortable situations. Can teleconverters be calibrated the same as lenses? Also what are the actual mechanics of focus calibration (not how to adjust the values but how the camera actually adjusts the focus after the values have been entered)? A lens with a TC is considered as a different lens than without it. So that represents 2 lens settings. One with TC and one without. The camera recognizes it automatically. To how this works, when you enter an AFA setting into the camera menu setting it applies to the mounted lens model only. The setting resides in the camera body. The lens has no idea that it has been part of the scheme :>). When the AF system works, before it gives the final command of where to send the lens for proper focus, it sees the AF adjustment and adds that value to the position of where to send the lens. So the AFA setting is essentially an offset to the final positioning position. if the lens has a +10 setting then the camera knows that this lens normally front focuses, and must send it back the distance represented by +10 to move the focus further back from the camera. Does this mean a lens can only have one AF adjustment that applies to it as a whole. Or can a series of adjustments be entered for zooms at different focal lengths or fixed lenses at different distances, etc.? Nikon and previous Canon cameras – one adjustment for any lens including zoom. Also Olympus E series has always allowed for long and short adjustment. Great article. I really get frustrated with these issues because even when you do get AF fine tuning done at one focal length, it is different at another length on the same lens. It can even vary a lot by distance to the target. As I see it, there is no way to assure tack sharp photos at all distances and focal lengths. How can that be in 2012?? But I digress…do you have any thoughts on the new Sony Hybrid focusing system? With some of the AF on the sensor itself, do you think this would potentially solve back-focusing/front-focusing issues as we are seeing with Nikons and Canons?? Could it eliminate the need for AF fine tuning altogether? I’m referring to the Sony a99. I’m ready to send my D600 back and get an a99 if the answer is ‘yes’! My guess is that you will still need to fine tune each lens, but that the shot to shot consistency will be greatly improved because both phase detect systems have the image on them at all times. Also the dual system only works with 6 lenses so far (at least that is what I read). So time will tell, but this kind of innovation along with more processing power should make future AF systems more and more accurate. But as shown here and with the new Canon innovations, it will be changes in both the bodies AND the lenses that will bring this all together. (All of what i said is just conjecture on my part). I will know a lot more when my A99 arrives. This has been a great thread, and I appreciate Nasim allowing me to converse with you, and also speak of my new FocusTune product. I have established a “FocusTune Information and Discussion Forum” where I monitor questions and issues throughout the day. Please join me over there and feel free to join the discussions and post any questions and thoughts that you might have on the subject of AF lens/body matching (that is what we are doing). Note: I only make this post after getting permission from Nasim. Thanks Michael, I just bought the LensAlign and am getting it tomorrow. I will have more info once I use it on a few lenses. Should you get any more relevant info on the a99 as it relates to focusing problems, please do share! I have a question regarding focus shift on a post calibrated lens. I have recently come into ownin a 50mm 1.8 G. It’s a great lens, however it is my second sample. The first sample I received had horrible focusing problems. I would focus on a subject five feet away, but the image produced would have really soft edge lines. All of the areas that should have followed the DOF characteristics for this lens were spot on, however nothing was particularly in focus. Calibration yielded no improvements, even with Reikan FoCal. I have since obtained another sample which needed to be calibrated as well. I have calibrated the lens two different times, and got two different results. The first result told me to dial in a -10 calibration. The results were seemingly spot on until further investigation in which I noticed subjects’ eyes were not tack sharp. The nose, however, was slightly sharper than the eyes, but not by much. Now I could tell that the reigon of focus for these subjucts was in fact the eyes, given that the general area around the eyes was sharper than the nose. Upon reviewing the report generated by FoCal, it said the result of the calibration confidence was only “Acceptable”. Calibration problem, right? I recalibrated the lens a week later and FoCal told me to dial in +3 this time. What?? I decided to go with the setting for sure since the confidence result in the report generated by FoCal reported “Good”. I shot another portrait session with the +3 setting. Horrible results. Objects two feet behind the subject were the only thing in tack sharp focus. I wound up using my previous setting of -10, and got the same result. Now, being completely perplexed by both of the results i figured I would take an unconventional route to experiment further with this issue. I figured that perhaps the issue was focus shift, especially with such a fast lens. I took varying shots using the same focus point and camera settings, lighting conditions, and the same subject. I did not change positions, and had my AE/FL set to AE-ON as usual. Release mode was set to FOCUS. The first shot I took normally. I obtained the same results. The object 3/4 to 1 inch behind what I tried to focus on was tack sharp, but the focus subject was not. The second shot I took, using the same conditions again, but this time I pressed the DOF Preview button before pressing the shutter release. BAM! The focus subject was so unbelievibly sharp and in focus I thought I had another lens attached to the body! I repeated this test four times and got the same results each time. One photo without the button pressed, followed by a photo with the preview button pressed. Does DOF Preview affect focusing at all? I thought your aperature went back to MAX prior to shutter release. The viewfinder even gets brighter prior to mirror travel, and the camera cannot reacquire focus with the DOF Preview button pressed. What are your thoughts on this? I think with FoCal, especially if you’re not getting an “excellent” result, you need to look at the graph as well as just the recommended number. Sometimes there can be a few vagrant readings and you can see that a different curve might fit the results or that set of results. Doing multiple tests is a good idea because then you can be sure of accuracy. Yes, on any Nikon or Canon DSLR the camera will focus at maximum aperture. It didn’t at least initially for the Fuji Pro 1, though that may have been corrected in firmware. Focus shift can definitely be a problem with some lenses. I have to get round to testing it for my 14-24mm which Lloyd Bridges reports to have a problem with Focus Shift. Where focus shift is an issue it’s usually with fast lenses, say f1.4. I did a quick manual check in the garden and it didn’t seem to be a problem with my 85mm f1.4 Nikkor. You could also do this with your 50mm f1.8. I don’t think FoCal changes the aperture to maximum when it takes the tests. If this is so, you could stop down say one, two and three stops and see whether the recommended calibration setting changes. You can check that it is operating stopped down by checking the reports. If a lens has bad focus shift (a difference of at least more than 5 for a Nikon lens or at least more than 2 for a Canon lens) there might be a case for different settings for different apertures. However, depth of field also increases as you stop down so you would have to make further field tests to see whether the difference really matters. I am too busy to try this myself at the moment. I also suggested to Rich of Reikan a method for incorporating a test for focus shift. He said it would be easy to implement and he would do it in the next release. However, the next release was the Mac version and Nasim reports that they are working on automatic operation for all Nikon cameras so it may have been pushed back but I would think that sooner or later such a test is likely. Thanks for the response, Murray. What do you know about as far as pressing the DOF preview button prior to shutter release? Do you think that would actually have an effect on the aperature/focus remaining constant at the moment of capture, thus preventing said focus shift? I don’t know. My guess is no but you could easily test it by taking an exposure while looking into the lens. I might be concerned about the possibility of increased camera shake from lateral movement of the camera while doing that too. Yes it does, see Setup Menu, AF-Fine tune. I am trying to establish whether my D800 should go back to Nikon to have all the focus sensors recalibrated or will I end up in a worse position than I am at the moment. Basically this is a replacement body as the first one had a bad left hand focus issue. This one does not have the left hand problem but the focus accuracy across all the sensors deviates in my opinion, too much. Using a 70-200 VR2 at the 200mm end the centre point AF tuning requires +2 using the lens align ruler, happy with that scenario. On distance subjects for example, a castle on a hilltop, the centre point renders the focus point on the castle really sharp at f2.8. However if I focus and recompose a lot, the image is not acceptably sharp. or stop down to f8/11. My question is: are the variances across the 51 focus points acceptable tolerances for Nikon or should I send it back in the hope they can do better? If these tolerances are acceptable it means that I can not use any other focus point other than the centre one when the lens is set to f2.8 to f5.6, this to me sounds awful considering the cost of these so called professional cameras. I find that very interesting and would like to know more. Perhaps therefore generalities are difficult and all one can do is to test one’s own equipment and draw one’s own conclusions. A difference of 5 between wide an central focus points is not a huge amount on a Nikon though it would be on a Canon where the scales are twice or more as sensitive. So how well will it work if you set the sensitivity to +4 or +5? Whilst I agree a 5 difference does not seem a lot, I do know that when setting up on lens align, +2 rendered the front eye of a portrait sharp with the lens wide open at the 200mm end. To increase the back focus another 2 to 4 points would put the front eye out of focus. If Nikon can not set up these points accurately, in my opinion, they are absolutely no use to us photographers, at the moment the only point I can trust is the centre one on a top of the range Nikon. Well it’s probably not a bad idea to use the central focus points when you can anyway because they’re always going to be more accurate. If you have to live with it then it might be as well to do some tests stopped down to work out how close to wide open it won’t make any difference. Focus shift might come into play there except that you probably don’t have any on that lens. – Set your zoom to 200mm, f2.8, and set your camera 4 to 5 meters away from your LensAlign. 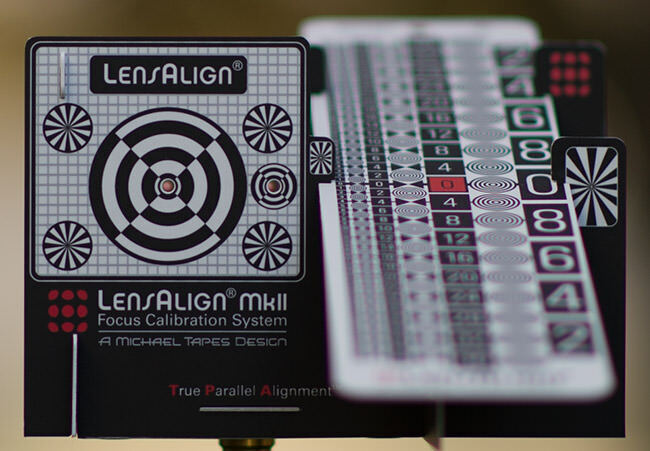 – With your Lens Align tool, Fine Tune your lens for the center AF sensor . – Now, Fine Tune your lens for the extreme left AF sensor, and then for the extreme right AF sensor. You will get 3 optimal AF Fine Tune values. Let us know which values you get. If the difference of AF Fine Tune in between the center and the extreme sensors is below 10, having a f2.8 lens, you should be “within specification”. 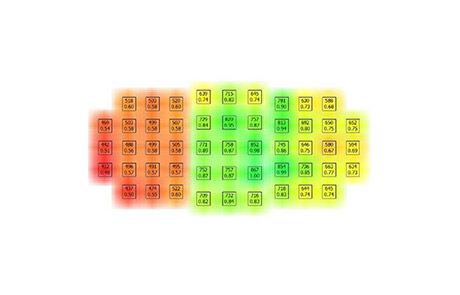 The “within specification” being the order of magnitude of error one can find with Nikon bodies today (wether they are D4, D4 or D800) as reported by Falk from Lumolabs. I have previously done exactly what you suggest. Centre is +2, left is +7, right is +9 so I am inside the tolerance if your statement is correct. Sorry but I can not accept this level of tolerance because any portrait focussed on the left or right sensor is out of focus at f2.8 so is therefore one for the reject bin, I can not afford to have this level of out of focus images, my reputation is at stake here. If Nikon can not do better than this its time I looked elsewhere however good the images are with the D800. If I cannot guarantee a sharp image the camera is no good to me. From your numbers, the maximum difference in between the center and the extremes is 7. On your case, if you set the AF Fine Tune to +5, no AF sensor will be more than 4 AF Fine Tune points from the optimal one. This difference is very small and shouldn’t put your portrait out of focus. It should slightly move the depth of field backward of forward, so slightly that it shouldn’t be noticeable on your pictures. You could look elsewhere, but I don’t think that Canon does better here. The AF Fine Tune difference will be smaller because they don’t use the same “unit”, but the error in the focusing distance will be almost the same. Again, if your D800 has problem to focus with this lens when setting AF Fine Tune to +5, most likely the problem is somewhere else. It could be due to the fact that the AF system never focuses exactly at the same point with real life subjects. Let’s look at this another way. The output for your portrait is presumably a print and if so how large and on matte or glossy? What is the required image size for that print at 360dpi (or 300dpi for a non-Epson printer) after allowing for a 100% upsizing which you can do without problem in digital? If printing matte, you only need half the resolution of that. If you downsize to that resolution can you see any problem in apparent resolution? I would guess that for a portrait you could downsize to at least 12MP with no adverse effects assuming you’re printing no larger than A3+. I must admit and I’m not trying to be controversial, but how did we ever survive without Lens AF-Fine tune! Until a year ago and the Nikon D800 left focus problems I’m willing to bet most photographers whether amateur or professional blissfully ignored fine tuning. Now everyone, me included, is having bouts of paranoia that their copy of a camera has focus problems, then testing it to satisfy their own fears and finding cause for concern! If I were using prints I would have stuck to my D3, superb camera and sufficient res for prints. Unfortunately all my work goes to photographic libraries wher they religiously QC the image at pixel level. 60meg 8 bit tiffs are the minimum size accepted. No problems for the D800, no interpolation necessary, I can even crop in post and still have the image size I need. This is what I love about the D800, pity it cant focus very well on its outer focus points. That makes sense then. I didn’t think of that because I have never applied to stock libraries. I have a D3s and a D3 but I am expecting to purchase a D800 within the next couple of weeks, partly because I’d like the capacity to generate very large prints and partly for cropping in with wildlife. I am planning an extensive overseas trip next year. So I’ll find out all about D800 focusing reliability in due course, using Reikan FoCal. Are you aware that you can use EN-EL4 or EN-EL4a batteries with the D800? It requires an MB-D12 battery grip pack and a BL-3 battery cover. At the moment I would not buy a D800 unless you are prepared to accept that the only reliable focus point is the centre one or use Live View which I am not particular fond of for my type of work. As you say, the quality when accurately focussed is out of this world, the cropping in post in excellent and the image even improves when you down sample it. I wish they would give us the facility to AF tune every focus point, it would be a painfull task but well worth the effort. After buying my D800’s I had to give up my beloved 24mm PCE lens which I used for years for architectural work. As a lot of my buildings are churches and castles etc they tend to have a high turrret or spire so you need to shift the lens up as much as possible. When the lens is shifted up towards the max it moves its image area to the edge of the large image circle, like most lenses the corners/edges are not as sharp as the centre so on a shifted PCE lens the top third of my images, normally the spire of a church was noticably not as sharp as the lower thirds which are now being displayed in the centre of the lenses image circle. I started to get complaints from agencies when they viewed the images at pixel level due to the lack of sharpness between the top and bottom of the images. superb resolution to crop out the image area in post which results in a better end product. Regarding the D3 batteries, thanks for the tip, but I sold them with my D3 and now just use the D800/D600 ones. One thing I do is to remove the battery from the camera and just use one in the MD battery pack, makes for easy changing of batteries, no need to keep removing the battery pack each time. I’m quite happy to use the central focus point of a D800 if that proves necessary. I don’t tend to use live view much but I might have to reassess that, particularly since I intend to get a 24mm PC-E to go with it. If I do start using live view, I may have to contemplate whether to use a dark cloth or a Hoodman. I also seem to recall reading elsewhere (perhaps Lloyd Chambers) that you can retain sharp corners if you restrict shift to 8 out of 11.5 and that it doesn’t matter so much for generating a composite. I’ll just have to try it for myself and see what I think. My corner sharpness requirements may differ from yours since I am interested in landscape rather than architecture and don’t use stock agencies. As a preconception, I’ve been thinking more of tilt than shift. I also have a 14-24mm. Did you get Nikon to switch the controls round on your 24mm PC-E? With the d800, 200mm lens at f2.8, distance to object of 4 to 5 metres, an AF tune difference of 4 will make someones eye unsharp when viewed at pixel level. This is a superb camera which tests your technique to the full. Try stacking about 7 books on top of each other spaced back about one inch apart, focus on the third one from the front then check at pixel level if you have the time. I’ve done the “book test” many times and I know what a difference of 4 AF Fine Tune does to your image. There is no doubt that at the pixel level, you can make out the difference. But at this level of small error, it is going to be difficult to know if you can get anything better. On my D800, all my lenses show some backfocus on the left compared to the right which has some frontfocus once the middle is Fine Tuned. On the AFS 85mm f1.8, I’ve got (left (-15), center (3), right(0)), on the AFS 35mm f1.4, I’ve got (left(-12), center(-4), right (4)) and on the AFD 105mm the center is at -18 and I also have this backfocus phenomena on the left and frontfocus on the right. Here, it is quite clear that there is something slightly slanted in the body: either the AF mirror, or the mount. I have tested 3 D800 and they were all slanted the same way, and I’ve tested a D600 which was also slanted this way, but a little bit less. It it were not for the 3 lenses, I would suspect the lens. I am waiting for a friend to buy a D800 so I can test his body and get a better idea on the problem. I’ll wait a little bit, especially because right now Melville seems to be affected by Sandy, but I’ll try to send my D800 to Melville. I just hope they won’t make it worse. It sounds like your focus problem is worse than mine. How do you cope with focussing? Centre point only is the only way I find accurate, so if the subject is not central I tend to frame loose and crop in post. Not a great lover of Live View for my type of work. Focussing with the centre and recomposing is fraught with problems in lots of conditions so I tend not to use unless its on a long lens and I am moving a camera a short distance due the narrow angle of view of a long telephoto. I bought two D800’s within a month of each other when they first came out. After struggling with bad left focus issues I contacted my dealer who kindly replaced both of them, one in August and the other in September. This I thought was the end of my problems, new cameras from much later batches, surely Nikon has fixed this problem! Yes the left focus problems were fixed, but as you are aware I have this inconsistency of the accuracy of the focus points on both my new cameras. Like you, I am reluctant to send them back to Nikon in case they end up worse than ever, what does one do? For the landscape photographer the PCE should be fine as you tend not to have a lot of fine detail in the upper third of your images, stitching is ok if you restrict the movement to 6 to 8 . I did have the shift and tilt reversed because it suited me better the way it was for architecture, you can do this job yourself, its very easy but at your own risk, just google for instructions. www.cambridgeincolour.com/tutor…enses2.htm is a good artic le on shift lenses, there are other good tutorials by an English photographer called Keith Cooper. Best of luck with your PCE. As this is an old lens I am hoping that nikon will upgrade it soon, its long overdue. Canon upgraded theirs sometime ago with positive results. I’ll probably find I know what I’m doing because I used to use 5×4 in the 80s but I’ll certainly read the Cambridge in Colour article and I’m also quite familiar with Keith Cooper. I don’t think you can do the conversion yourself for the 24PC-E. You probably can with Canon lenses and old Nikon ones but I’ve read that it’s not so straightforward with the 24mm PC-E and I think you can cause damage if you try to do it yourself. It’s not that old a lens, being released in 2008. After all I use a 105mm F2 DC that dates back to 1993 and is still a current lens. On the other hand, maybe they’ll bring out a 17mm at some point. This is quite essential to have proper information about the usage of the tool and its effects before its utilization. Through the medium of this post we got this pleasure and can understanding to calibrate delicate lens . Thanks for this valuable information. I was in bad need for it since I think my nikon 7000 / sigma 17-50 mm lens suffer from an autofocus problem. I would like to post some helpful material on using Auto Fine Tune on the D7000. However it contains some necessary graphs . Is there a way to post these (JPG or GIF or PNG) on this site? Thank you for this article. It was very informative and helpful. I am having issues with my D90/35mm equipment combo. I am not extremely tech savvy, but everything I have read has lead me to believe that I will not be able to calibrate my lens (which is the problem) because of my body. Do you have any suggestions on calibration software that supports my camera body? ProCal does not. Thank you in advance! Whoops, I put another comment rather than replying. Please read below on the web page.. The D90 does not support calibration so you cannot do it on that body. No software will help. (I presume you mean FoCal rather than ProCal). So I’d say your alternatives are (1) send the 35mm lens to Nikon for adjustment and hope that works; (2) send both camera and body to Nikon for adjustment (but body might then behave differently on other lenses); (3) Sell the D90 (say $200) and buy a second hand D300 (say $500). You’d need to check the camera you buy carefully on receipt; (4) Sell the D90 and buy a second hand D7000 (say $700); (5) Sell the 35mm and buy a different one; (6) Leave things the way they are and stop down when using the 35mm lens. Seriously, there is no need purchase this contraption to check focus. This is more like a glorified advertisement. Note the date on that article, though: 2003. I’ve read that this is not a good method to use because focusing on a diagonal plane exacerbates the inaccuracy of your autofocus and you may not get accurate or consistent readings. Better to focus on a flat target therefore and if you like include a diagonal scale as LensAlign does. There is no copyright issue here with using this method because equivalent methods were posted on the internet before LensAlign existed. What LensAlign adds to that is a built in system of alignment and precision of manufacturing. I just had my 70-200mm 2.8 checked by Nikon. Lately I noticed I was having the problem of focusing in the animal and getting the grass, especially close to 200mm. My images were not tack sharp. I blamed it on my hand, but then I realised that with a tripod was the same. The service sheet reads “optical alignment adjusted to standard” (while for the camera AF adjusted to standard and tested with lens). Do you know if this means that the lens was defective in the first place? So far I have taken care of it more than I do of my husband.I haven’t knocked it or dropped it. I am worried that my copy was not working properly from new. Could you help me understanding what is the problem and the implications? Thank you in advance! What would the calibration steps be for a 16mm Bolex and a 17mm-85mm Som Berthiot zoom lens? If they work as autofocus lenses on a Canon or Nikon body that has autofocus adjustment, the same as any other autofocus lens. If they are manual lenses on your body or the body does not have autofocus adjustments, calibration is not possible. This is a springwound camera from the 1960s, a Bolex H16 reflex. I was given to understand (by my teacher) that it was necessary to calibrate the zoom lens (not by taking it apart, of course) and am therefore assuming that the lens must be calibrated according to each individual camera body with which it is used—that it wouldn’t be a good idea to use it with another body (one of the school cameras) without some kind of adjustment to “match them up.” Is this the right idea, and, if so, what would be a specific method of adjustment? No idea, really. You’re talking about an old film movie camera and lenses. I was assuming you were talking about using old movie lenses on a digital stills body. This topic is about electronic adjustments in camera using autofocus lenses on DSLRs because the focusing sensor is separate to the image sensor. This is therefore not relevant to you. Perhaps the teacher is just referring to calibrating the eyepiece to the ground glass. You’d have to ask them. Any advice would be appreciated…..
Last week I received the new Tamron 24-70 F2.8 VC – I have read some reasonable reviews and also this lens is a plus for the occasional video use as VC makes a huge difference on video. Straight away I realised there was a problem. It soon became apparent that this lens was back focusing by several inches. In my D800E I went into my “AF fine-tune” and had to set it all the way to -20, where it was almost there but just a bit of a smidgen short. Naturally I have contacted the supplier, but alas they get lenses returned that are not faulty, but the user is. So now I have to supply “proof” – as if my word and expertise was not enough… sigh. But I did discover something interesting. The “AF fine-tune” has no affect on photos taken in Live View mode. In fact, it just ignores it. And in Live View, the lens focus is spot on. Clearly in Live View, the camera is the Boss. I had the same problem with my D7000. Live view focused perfectly fine. In viewfinder, it was off. It was terrible with the Tamron 24-70. So I sent the camera back and the lens back through warranty. There was nothing wrong with the camera. The Tamron was the problem. I thought it was fixed, but eventually it started becoming a problem again, now with the D7100. I think after my experience with it, I’m just going to stick to Nikkor The Tamron is now out of warranty and I’m not going to pay to have their problem fixed a second time. I just show a wedding with the Tamron and D7100, and i’m losing a LOT of pics to focus. I have a photoshoot tomorrow, and I htink I’m just going to make some room for the Nikon 70-200 (which is amazingly flawless in af). When you send a lens to Nikon for calibration (I have one that’s greater than +20) do you send both the lens and the camera or just the lens? HI, there is one technicality that nobody adressed in this post. Technically most lens has greater rear-DOF especially wide angle lens so does that means that at even small aperture 1.4/2.8 on any given lens . if I use the lens align doesnt the lens should technically behing focusing at 0 but be a little more focused on the rear than on the front? Also I use my 300mm with almost always 1.4 TC on do I calibrate it the same way? 1.occasionally changes in AFFT makes no difference?, +10 to +20 still looks like +10. 2. different light daylight to tungsten results is different focus. different AFFT requirements. I read with interest your article only because there seems to be confusion about AF microadjustment and actual lens calibration. Last week I sent my 5D3, 24-70, 100macro, and 70-200mmf2.8 in to canon for a “service, cleaning and microadjustment”. I did this after spending 2 hours on the phone with a service technician guiding me through the use of lens align and microadjustment, only to have him suggest I send my gear in when I couldn’t get satisfactory results. Upon receiving a couple of emails from canon that suggested they did not perform the “microadjustment” I called and spoke to one of the service supervisors in their Canon Pro Services Department. I was interested to hear that my terminology I had been using was in fact incorrect. She explained to me that “microadjustment” is something that the customer does to address back focusing or front focusing issues. Canon techs (I don’t know about Nikon) does not perform these services for customers, pro or not. “Calibration” refers to addressing soft focus not a result of front or back focusing and requires a tech to actually open up the lens, and adjust it to the tolerances of the customers camera. This is why it is costly, and why the customer isn’t able to do this at home on his own lenses. My 24-70 f/2.8 I’ve had for less than a year, and has NEVER been the amazingly sharp lens that I read about other people experiencing. When I mentioned this, they immediately said I should send it in, preferably prior to the 1 yr warranty expiration. (I thought I was just not proficient with using it). Interestingly, my 100mm macro, which is about 18months old, needed a new IS motor, as the one in the lens they found to be faulty, in their word jumpy. This replacement necessitated a calibration as well. This was rather painful on the pocketbook (to the tune of roughly 340.00), but at least I’ll know it’s not my inadequate skill in the use of the lens. And, I’m happy to know what to actually ask for the next time I send in my camera and lenses! Cheers! I have just bought a SH nikon 50mm f/1.4g and has a backfocus on my D7100, could not calibrate with fine tune even setting at -20, my question is, that is there a physical calibration possibility on the lens, that i could do myself…? Don’t know if you solved your problem but I have read there is a courser adjustment for all lenses that adds to the adjustment for individual lenses.. +/-1 on the all lens adjustment equals +/-4 on the individual lens adjustment. You could try adjusting with the all lens adjustment. Of course this will throw off other lenses, so you’ll have to counter on them. e.g. subtract 2 from all lens, add 8 to each individual lens. Personally I find FoCal much more automated and more user-friendly for Canon bodies than Nikon ones. Just set up the rig, with proper and sufficient illumination at the focus chart, set/align the distance between the chart and camera, and let the software do its job. Another point to note, Canon bodies allow 2 AF Micro Adjustment settings per lens, one at the wide-end and the other at the tele-end, while Nikon bodies only allow one setting per lens. My sharpest lens is an 85/1.8 AF – not AF-S. Based on the great results I get with the lens, using the in-camera focus motor, is it safe to assume that the camera is well-calibrated? Hello Nasim, thanks for your article . I stumbled on your page after googling about calibration. I was wondering what a Canon service center will do differently compared tot the DIY Micro adjustment suggested in your article? Any thoughts? What is it exactly what a service center does with the lens or camera body you think? . I guess that you only should contact your manufacturer if the correction is way off , i.e. +/- 20 . Am i Right ? I have a Nikkor 35mm 1.4 manual focus that recently took apart and there is an adjustment screw on the side which appears to adjust or calibrate the distance marks to the lens right or left. Would an auto focus lens have this same adjustment. Also do film cameras have this same issue. It would seem that if the image looks sharp in the viewfinder when auto focusing and the pictures are coming out blurry, (or backfocused etc) then this could be a problem with film cameras as well not knowing if the film plane is in precise alignment with what looks sharp in the viewfinder. Im thinking The film plane is too stable to get out of sync with the prism. finder or the mirror could get out of alignment.. The camera list needs updating, the D7100 has AF fine-tuning too, and there’s meanwhile the D610 and D810, and the D750. I found a cool idea on kickstarter. Lens Focusing Jig is a great idea. What is actually needed is a microfocus adjustment table that allows you to set values based on focal length and subject distance. It would be more time consuming to set but one value for a zoom lens is absolutely ridiculous. I think it’s possible that before we see something like this PDAF will be dead. You might also want to look at updating your article to cover dottune. Switch to Canon like I did, much easier. I make a mistake when I started investing in Nikon gear. On my Canon 50d 16-35L f2.8 combo, backfocus is not evident at 0.33m from the subject, but becomes quite evident at 0.8m, with the subject entirely soft at 1.5m. Results vary with 16mm being generally soft, 24mm ok and 35 perfect but only at close range! Step back another 0.5 at 35mm and hello backfocus. Still encountering the backfocus, I thought surely the cheaper lens couldn’t be out performing the L. I have been googling to try and identify what the cause is and grew tired of reading unhelpful posts about rookie mistakes. Praise the Lord for your tips re isolating the problem because now I am confident that what I tell the service agent is pretty conclusive. There’s no arguing comprehensive testing on a tripod with remote shutter control. What should be the right distance to calibrate my Nikon 80-400 AF-S ED VR at 400mm @ f/5.6 please? thank you very much for that interresting article. I may add my 2 cents, related to my AF-fine tune experience with my D800 combined with 2 Tamron lenses; the fantastic recent 24-70mm 2.8 VC and the 70-200 mm 2.8 VC. As a matter of fact, I went out to AF fine tune those lenses on my camera, but was surprised to see that the D800 was unable to safe the fine-tune results for both lenses. The D800 reserves 100 positions (from 00 to 99) for saving 100 different lens fine-tuning results. To differentiate all those lenses it uses 2 digits (also 00 to 99), stemming from the lens ID’s transmitted to the camera. So far so good! The 2 digits retained by Nikon to recognize different lenses happen to be identical on various Tamron lenses, in my case the number “24”. Explained differently, this means that the first lens you stick to the body is identified and saved as lens “24”… the second lens you stick to the camera is recognized as … well “24” as well. The above explained implies that once you’ve fine-tuned one Tamron lens (at least the ones I own) the + or – values will apply to all Tamron’s used on that camera; since, as said above the Nikon is unable to distinguish them. This renders the AF-Fine tune function for those lenses useless, and the only alternative is sending the lenses and the body to Tamron for a mechanical AF adjustment. Of course one can’t blame Nikon for this, but I wanted to give you a heads up about this, since those particular 2 Tamron products have become hugely popular, and righteous so I shall add to that. My understanding for AF microadjustment calibration is *only* applicable when using phase-detection AF (PDAF). Contrast-detection AF using live-view will be the sharpest and minimal focusing errors compared to PDAF. Anything that goes thru the optical viewfinder essentially is using PDAF, as the small portion of the incoming light is reflected into the PDAF module. Thanks Jon. So that’s mean i have to try AF fine tune , as i am not happy with the results from 50 mm. Nasim, I am just a keen amateur but passionate photographer and every time I look into some technical difficulty I am having, I keep coming across your site. I cannot express how well you communicate, concise, precise and what a joy to come across. I started looking at help with my new D800 when I had bad back focus problem, and had to take two cameras back to the store as they could never get the adjusted focus to stick, always drifted again. I ended up with the demo model which has been an amazing bit of gear and very happy with my birds in flight chasing and macro work. NOW I have tried the dark side as I needed frames per second to capture Kingfishers diving and boy what problems with front focus. On a 100mm prime 2.8 I needed to adjust to +9 on the microfocus, but was stumped on how to set it up for the long range on my 100-400 – 4.5/5.6 as the 2.8 on the 100mm at about 2 meters was easy but at 400mm and 5.6 I had little chance. Now here is the interesting part. When taking the two week old camera to the sales guy to explain my problem he told me it was my problem as Canons official stand was that as long as the camera could be adjusted with the microfocus range i.e. -20 to +20 they considered to need no action on their behalf as they consider that to be with manufacturing tolerance, though he could not point me out to the written statement and Canon here in Australia are near impossible to contact esp. when trying to address technical issues. I argued that they should first have the camera factory calibrated well within the -or + 20 range out of the box and a brand new two week old 100-400 lens combination should perform without problems. I am keen now to try and track down some official advice from Nikon and whether if I presented with my brand new camera with calibration shots of how badly the camera was focusing, which would require evidence of more than one lens, would I be met with the same policy of putting the onus on me. Normally in the past when I took my new Nikon D800 into the store the agreed to send it back for calibration and my micro adjustment came back at zero setting and the camera focus fixed. Do you, or your readers, have any knowledge on the official Canon or Nikon stand on this issue??? Again Nasim, thanks for very, very professional site and have gained so much experience from so many topics covered. So I tested a Nikon D600 with a Nikkon 50mm F1.4 lens. It back focused and it did not matter how far I turned the AF Fine Tune, it always focused just as badly in the same spot. It was as if the AF Fine Tune was not even working. I tired -20 and +20 with no change. I figured the lens was bad and the camera could not adjust for it. But then I popped the camera into Live View and did the same focus test. Live View: Flawless Focus nailed. Normal Mirror view: Blur City. Great article and great comments! This really got me to thinking about my lenses. I have Nikon 24-70 2.8 and 70-200 2.8 and there have been times the images just didn’t look sharp and I wondered if I had a bad lens. This may be the answer to my conundrum! Thanks everyone! Hi Nasim, I have Nikon D810 and 3 lenses. 24-70 2.8f, 70-200 2.8 and 50mm 1.4. If I calibrate for these three lenses, do Camera remember for the fine tuned settings for all these lenses. If not do I need to calibrate each time when I change lenses. As far as it was explained in a Matt Granger YouTube video once you calibrate them tour camera will automatically recognize when that lens it attached to your camera body. I just did mine lenses today but I will probably redo them again if the sun comes out tomorrow, good light is important they say. I used a different lens calibration kit, the Spyder Lenscal unit. It pretty much works the same as the one Nasim used for his article. The way I do it is by putting the camera and lens on a tripod aimed it at a scribbled star I drew on a piece of paper. and then I taped the paper to a wall. I take shots at default (0), -5. -10, -15, +5, +10, and +15. Download the photos and compare those photos at 100% and compare and determine which one is in focused. I found anything in between those values to be insignificant. Yes, if you are a pixel peeper, you may want to adjust in between those stepped values. Does all of this work with BBF? Thank you for this article! I’m having issues with my D3s and my 24-70 lens. If I calibrate my 24-70 lens on my D3s will it still work properly on my D700? I haven’t had any issues with it on that body. Also, when I go to Fine Tune in my menu settings, I’ll check the Fine Tune Optimal Exposure and then I’ll get a message that says “Exposure compensation icon is not displayed when exposure is altered from the default value. Continue?” What does that mean? So…according to Nikon, one should not accept this situation as normal, and simply make an AF Fine-Tune adjustment and continue using the same lens. If the lens requires an adjustment, it should be returned. This is fairly clear. Also, if one returns a lens that has focus problems, it will put extra pressure on Nikon to be sure that the lenses are perfectly calibrated when they ship them out of their factory. I learned so much! Just have to say thanks for writing this. I have lots and lots of focusing issues, now I think I know why. Very well written and easy to understand. THANK YOU! My Nikon D810 don’t focus on left hand side of the frame even the subjects in same line, try narrow F stops as well. Any Help very very very highly appreciated. 1. The camera sensor must be parallel to the target. If off in pitch & yaw there would be errors in calibration in the fore & aft. 2. The lens z-axis must be perpendicular to the target. I used an alignment fixture stand to fix my D750 to be parallel and the lens to be perpendicular to the target in the Z-axis.. I tested my Nikkor AF-S 35mm f/1.8 and my AF-S 85mm 1.8. Once I had the setup on the alignment fixture stand, I set the distance for the 35mm lens at 4.5 ft. I then set desired ISO, aperture, and shutter speed. I focused on the target, set the self timer delay for the maximum 20 seconds, the number of shots to 9 at 3-second intervals. I set the distance of my 85mm to 10 ft. To my surprise the focus point was dead on with both lenses. I tested both lenses at various apertures and got dead on accuracy and repeatability. How do you get it to be perfectly perpendicular to the target? Sighting by eye is very difficult, especially when trying to calibrate long lenses like a 400mm from 12 feet away. Are there any tools that you can use to confirm proper alignment of the camera and the target? How far away from the target should you be if the your are trying to calibrate a 28mm lens? Great technic for the Prime lenses only But not workout with the zoom lenses . I had focus problem on my D600 . When calibrate with the 24 to 70mm f/2.8 it difficult . Great article. I bought the FoCal Pro software and it seemed to do a good job. I’m not sure what to do though now that I ran the “aperture sharpness profile” test and got what seems like really poor results for my most expensive lens — the Canon EF 100-400mm f/4.5-5.6L IS II USM. It showed good sharpness at between 5.6 – 7.1 and just average at 8 and 9, dropping precipitously into the “below average” category at 10 and smaller. The lens is nearly 2-years old (so out of warranty). Are there alternatives to sending it to Canon for adjustment? Thank you so much for the insight into lens calibration. While I was weighing the merits of the various methods of performing calibration — I have a 50mm 1.4D Nikkor that appeared to be less sharp than any of my other lenses, I just applied a bit of common sense to achieve a no cost solution. I printed your test chart, hung it as described, and bracketed corrections as follows: -10, -5, 0, +5, +10. I placed all the images side by side and the -10 was dramatically sharper than the other brackets. I ran some practical tests afterward and I now have ALL my lenses performing at peak performance. About an hour of my time and zero dollars spent. Great article. I read through the comments and I noted that most are dated 2012 – 2014. In the ensuing 5 years, there have been some developments such as “Dot-Tune” and the Sigma and Tamron docking stations. I have the Tamron Tap-In Console which allows for focus tuning at 5 different focal lengths on my 150-600mm G2 Tamron lens..
Have youThanks considered revising the article to reflect the effects of these new focus tuning devices?